Preparations for the second quarter of 2017 have begun this month including our annual stock take, new project specifications and the release of new marketing material. Our newest blog post is full of interior design ideas inspired by natural materials, including how to use porcelain and ceramic tiling solutions to achieve a contemporary look. 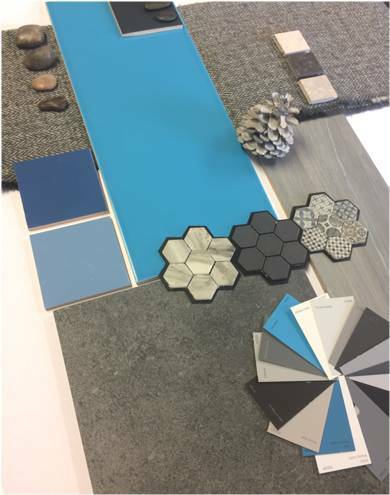 This mood board was influenced by stone and sea, using blues, greys and tiles that can be used effectively in all types of projects. To see the new blog, click here. We have lots of ceramic and porcelain tiles that are either left over stock, end of line or due to be discontinued. 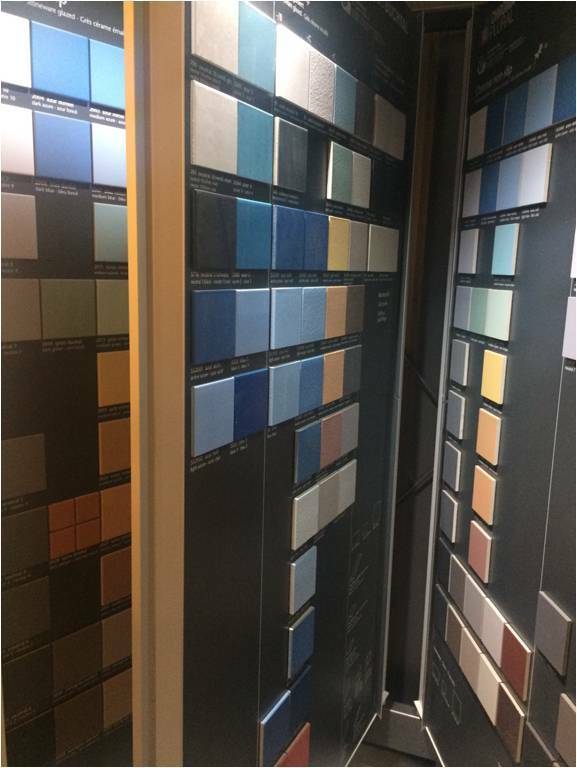 We have a range of Wall, Floor and Mosaic tiling options in many colours, sizes and finishes. So if you are planning a repair project, or just need some spare tiles for future use please contact us for more information via email. This month we have received a variety of different marketing materials including the 2017 Agrob Buchtal catalogues and brochures, display boards, tile samples and sample wallets. These materials are available as part of our technical service and can be accessed on request by emailing sales@spectile.co.uk. This March, two of our valued apprentices have been nominated for South Cheshire College’s Apprentice of the Year Award in their subjects Business & Administration and Sales & Marketing. Our hard-working Apprentice; Sarah has been short-listed for her award for her efforts to become confident in her studies for her Business & Administration qualification. Good Luck Girls! 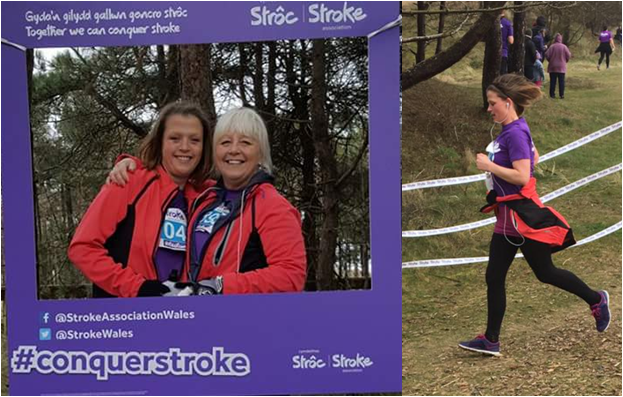 After many months of intense training, our very own Logistics Manager; Lyndsey and her mum; Sue Field took part in the 5K Revolution Run in Newborough Forest, Anglesey for the Stroke Association Charity. It involved running on different terrain, from forest to sand dunes and hills. Together they raised approximately £300.00, running the full course in 37 minutes! As mentioned previously our Chairman, Roy Field, has visited the Rainbow Hope Centre in Uganda and his time spent there has been very productive. 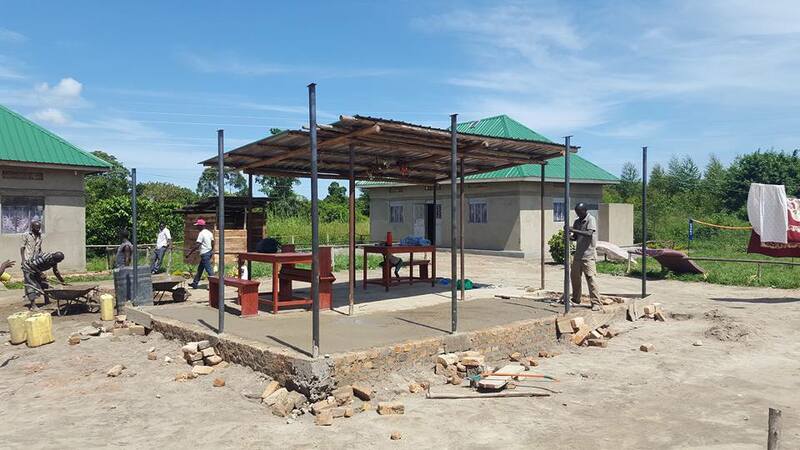 The foundations for the Boy’s Dormitory are now well underway, as well as an extension to the dining area and they have also built a chicken coup. The centre now has volley ball and netball nets, solar panels, a television and a slide for the outdoor play area. The children gratefully received two suitcases full of donated clothes, shoes and classroom essentials.